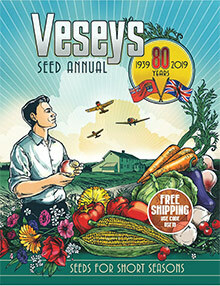 Veseys catalog is the organic gardeners source for certified non-GMO seeds since 1939, with hundreds of varieties of vegetables, flowers, herbs and custom seed packages. *Postal Surcharges on oversized and perishable items still apply. When ordering online or by phone, please refer to Department Code - USF19.